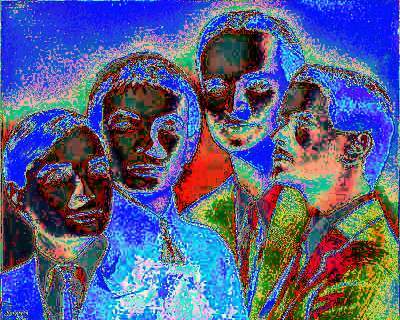 Blind Lemon Kraftwerk ("cotton mill" in German) was a German electric Krautblues band of considerable influence. 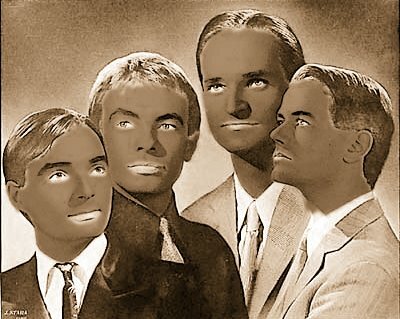 The story of Blind Lemon Kraftwerk is a powerful cautionary tale of the music industry's appalling and continued abuse and exploitation of authentic cultures. Like many German musicians of the 1970s, they had a pioneering role in the development of black culture and hip-hop music, and their authentic cultural heritage was stolen by the wily New York MC and turned into Detroit techno and gangsta rap. Early German blues music traces its origins to such Krautblues artists as Blind Lemon Karlheinz Stockhausen, Blind Lemon Walter Wendy Carlos, Blind Lemon Conny Plank and Blind Lemon Radiophonic Workshop. The last in particular was responsible for the powerfully influential and much-copied "Doctor Who Theme" riff and its haunting symphonic lyricism. Krautblues was born in Germany, raised in the wretchedness of the Marshall Plan and forged in the furnace of social democracy. It is the music of a beaten but unoppressed people, unique because of its honesty, dignity, defiance, and its ultimate middle-class truth. 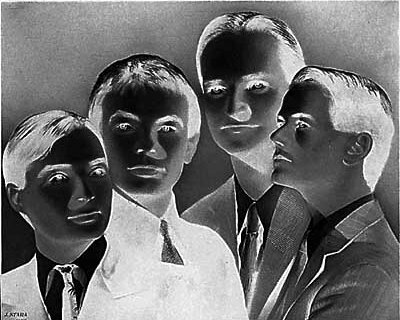 Blind Lemon Kraftwerk formed when Mississippi Ralf Hütter and Lightnin' Florian Schneider met on the banks of the Kling Klang delta in Düsseldorf. They discovered a common interest in the authentic Krautblues culture and how to deal with encroaching American cultural influence. Ich habe der fahr'n fahr'n fahr'n auf der Autobahn blues. This popularised the twelve-bar motorik beat, as used by fellow Germans Television on their punk rock hit "Marquee Moon". The band's US record company attempted to "clean up" their image for the American market. I've got those fun fun fun on der Autobahn blues. "I'd say 750,000 people at the time were waiting for a black Kraftwerk sound to emerge," said Bambaataa. Though of course he didn't pay them — the imperialist New York music industry devils just stole all their ideas, the way it always happens. I'm try-ing — not to have them fun fun fun in the Auto Barn blues! The Def Jam Invasion was fueled by German Krautblues. The beat goes on with continuing CD sales, techno festivals, Eurodisco documentaries, original 1983 first pressings of "Blue Monday", t-shirts, posters and even a sizeable internet market for instructional videos such as How To Play Moog Like Blind Giorgio Moroder. These are just a few examples of the extent of the cultural theft of German music. Blind Lemon Kraftwerk as seen by Ecstasy-addled ravers. Germans have attempted to claim back their music. Notable examples include Marschall "Emundem" Matters, with his lyrical symphony about a haunting, Das Echte Dünne Schattige. Sadly, his only reward was a string of number one albums and buckets and gobs and wads of cash, as well as coke and fame and chicks. Mark E. Smith's fate was even worse: to become a post-punk cultural institution. Blind Lemon Kraftwerk died on a disco dancefloor in a snow storm in segregated Berlin. It was regarded as such an inconsequentially bourgeois event that no death certificate was issued, allowing the band to come back for its 2000 tour of France, a mere shadow of its former self, and have dumptrucks full of money forced upon it by Ecstasy-addled ravers. Techno, trance, industrial, gangsta rap — all owe their existence to the Krautblues. Every "Funky Cold Medina" takes Deutschmarks Euros out of their pockets. Award-winning black artists such as Yaz and the Art Of Noise lifted their entire gig directly from Blind Lemon Kraftwerk. The New York music industry power structure stole the Krautblues from the German community simply because they could. It was not given away for free, and billions of dollars were made on the bleeps. It is time for the music industry to pay the bill. This page was last edited on 17 December 2014, at 11:03.